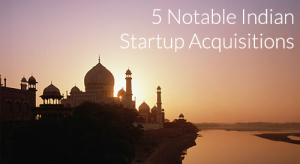 Acquisitions are the norm in the current corporate environment. Big businesses continue to buy their smaller counterparts world over. It does however seem that Indian companies have undergone acquisition at a higher frequency than entities from other parts of the world. Here is a list of 5 well known Indian companies that have undergone the process. Ranjith Boyanapalli, Tharachand Suryadevara and Jagdish Kothapalle founded this portal. Its base was Hyderabad and its venture area was ecommerce. In January 2012, Naspers invested a substantial amount in the startup. This was sometime before Tradus.com came in with an offer (March 2013). Tradus itself is an online auction company with a history of association to Naspers. Its areas of operation are central and eastern Europe. Loney Anthony founded the company in Chennai in 2008. Its area of expertise was payment systems such as ATM or PoS. In November 2013, Hitachi acquired prism for $250 million. However, the company did not offer any statement to the press. Neither did it formally announce this development. Hitachi, a multi-faceted business franchise that offers services across the board, has been around since 1910. Nonetheless, the acquisition was taken very positively by companies like FreeCharge, AppMoney as payment remains a huge industry in India. Bitzer was the brainchild of Naeem Zafar, Ali Ahmed and Indus Khaitan who established it in 2010. Its sole purpose was the provision of mobile application solutions. Its motive was to provide companies with potentialities that allowed their employees to access relevant company information on their mobile phones. Founded by Phanindra Reddy Sama in the month of august 2006, redBus had its headquarters in Bangalore. Its concentration was online bus ticketing. During the initial startup period, the company obtained funds from seed Fund, Capital Partners and Hellion venture. In 2013, Ibibo group acquired the company for $138 million. Ibibo is not a single company, but a joint act between Naspers from South Africa and Tencent from the People’s Republic of China. Bookpad was an innovative technology firm that examined the problems with digital ways of doing things and then formulated solutions to the said problem. The company had a product that went by the name DocPad.The function of this tool was to help users to manipulate many types of documents in several ways(editing, annotating and viewing) within the confines of a website or an application. The trio of Niketh Sabbineni, Ashwik Reddy and Aditya Bandi founded it in 2013. The company did not last long as Yahoo acquired it within the same year for a little below $15 million. When a company starts up, global entities keep track of developments in order to establish its potential as a future partner or source of new talent. Sometimes it just happens that new companies bring a new perspective into the market, especially in the area of technology. Bigger companies acquire their smaller counterparts in order to own the technologies they have entered the market with, some of which include hardware concepts, software perspectives and interactive avenues. All these aspects are quite beneficial to their relevant industries. In addition, the major companies also benefit from the pool of talented members of staff that come from the selling entity. I am blogger and marketer as well since 6 years.. I'm seeking to write technology news on all big technology related sites..